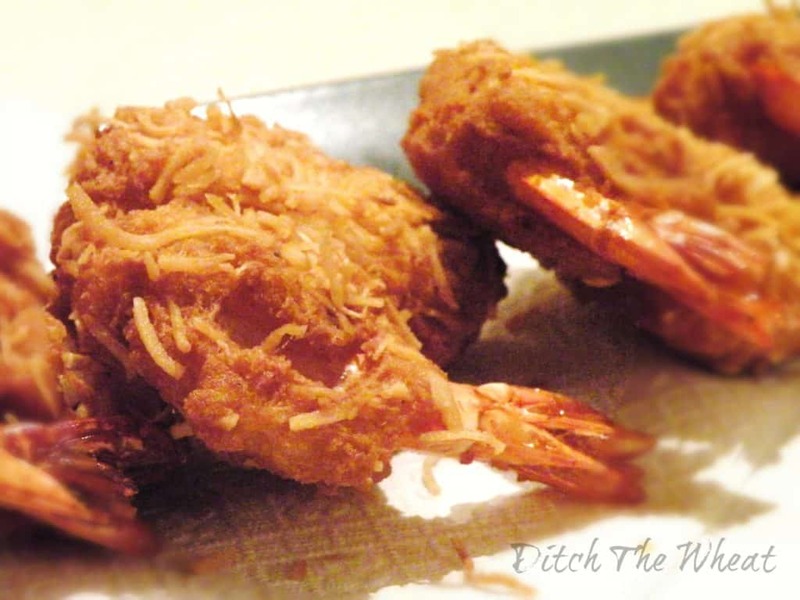 *The updated recipe for these coconut battered shrimp is here. 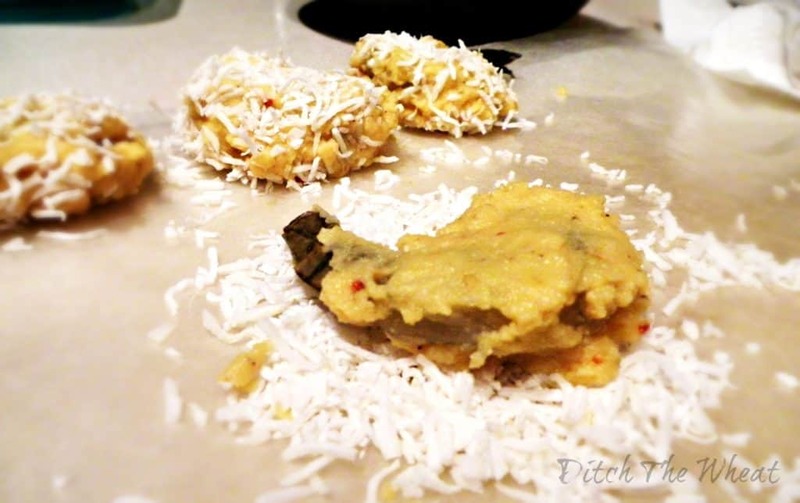 This recipe came to me when I was having an unusual craving for deep fried foods. For anyone who knows me I don’t crave deep fried anything! Even before I started eating low carb I still didn’t eat Kentucky Fried Chicken with my family. I was honestly appalled by the idea of eating food submerged in grease. All of a sudden I wanted, like I REALLY wanted, had to have couldn’t wait to eat something deep fried. My family was making shrimp pasta for dinner that night so I took my portion of jumbo shrimp and decided to go on a cooking adventure. Hmmmmm what can I make with shrimp that is deep fried??? I decided on the big battered shrimp that you get when you go to a Chinese restaurant. Except I decided to add coconut flakes to the shrimp. MmmmMMmmm coconut. I’m amazed at the outcome of my cravings. The batter is fantastic. When I eat these battered shrimp, which is fast becoming one of my favourite meals, I forget that I’m eating low carb. These are so good I would recommend them to non-low carbers. Add the salt, pepper, and Roasted Garlic & Peppers seasoning. In a separate bowl mix together the flour and the baking powder. Slowly add the wet ingredients to the dry ingredients. Add enough water to the mixture to create a smooth thick “batter like” consistency. The batter will resemble a thick paste. This is ok. Put the shrimp into the batter and use a spatula to cover the shrimp. 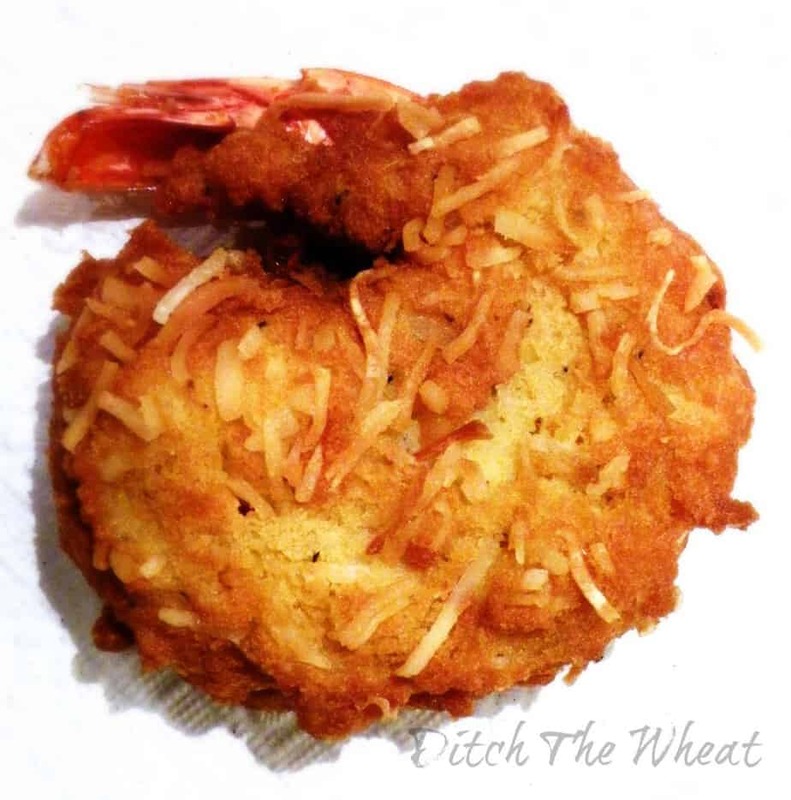 Take shrimp out of batter and put it in a small pile of unsweetened coconut flakes. Using your hands pat the coconut flakes over the battered shrimp. Place in the heated oil. Once the underside of the shrimp is lightly brown use tongs to flip it. When both sides are lightly brown and the shrimp is pink it is done. 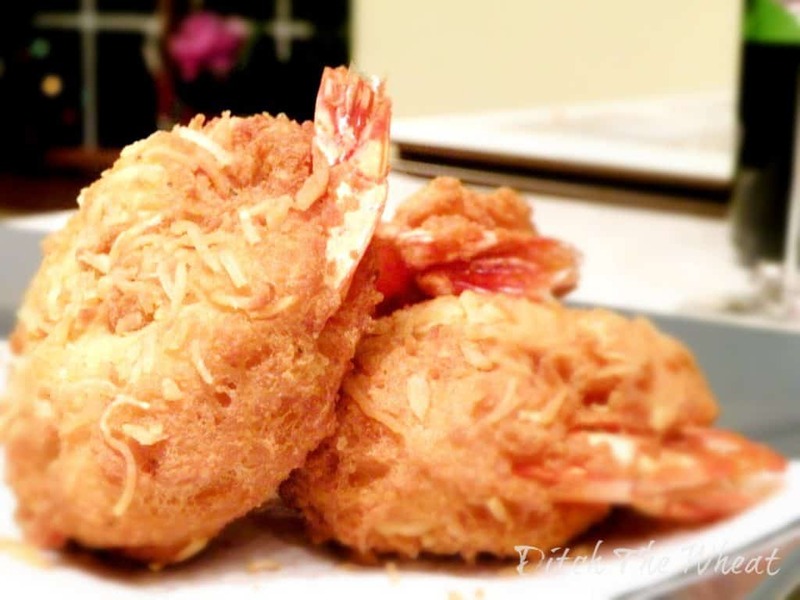 Now sit back and enjoy your delicious coconut battered shrimp! Those look delicious. So glad you used coconut flour! I love your blog so much. Your recipes are amazing! Thanks!!! The feeling is mutual. Your blog is so funny! You tell us do get :unshelled shrimp” yet the instructions do not tell us(_ mere novices to shelled fish) how to un-shell the shrimp before battering them. You just pull the shell off the shrimp. I love coconut shrimp. I want to make your low carb recipe, however I throw my deep fryer out a while back. I only bake now instead of deep fry. How do you think your batter will do by baking it? I don’t suggest baking them. It won’t have the same results. You can use a large pot and put fat in it and deep fry that way.